Let’s learn how to draw a castle step by step for kids. Here is an easy castle coloring tutorial for children. This is the first video of the “draw with the unicorn” series on Kiddopedia channel. Children love drawing, especially animals. Learning how to draw increases the imagination of kids as well as their motoric skills and eye-hand coordination. Drawing using simple shapes is an easy start. 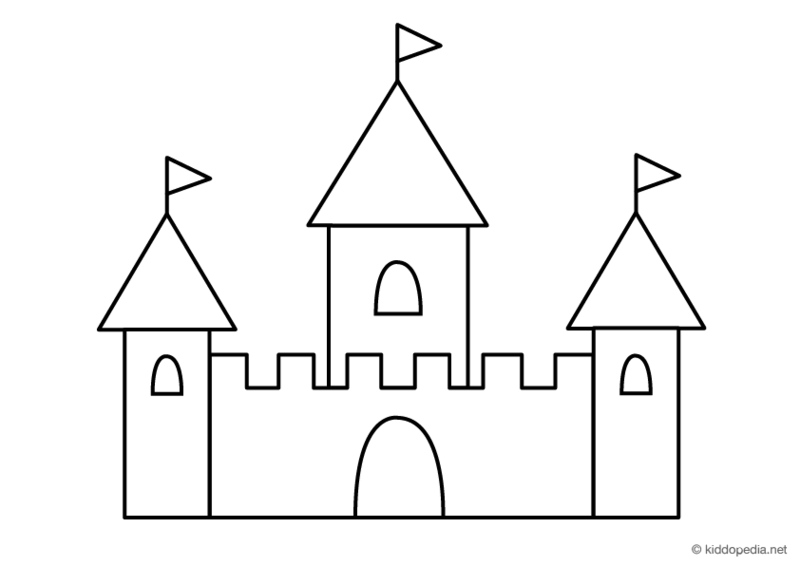 Kiddopedia team is bringing you this video to learn how to draw a castle step by step easily by using simple shapes such as circles, rectangles, triangles, and arcs. The speed of this beautiful castle drawing video for kids is adjusted for ideal learning. 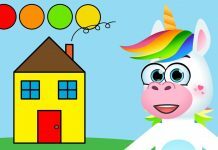 Our cute unicorn character is going to explain each simple step to finish the drawing and coloring of our fairytale castle. The video is accompanied by medieval music to make the learning even more fun. We begin with the tower on the left. Let’s draw a simple rectangle. Slowly, draw the straight lines of the rectangle. You can make it as tall as you want. I would recommend to draw it the size of your hand. Let’s put a spire on top of our rectangle. We are going to draw a triangle. Three lines make a triangle. Make the line slightly wider than the rectangle. Now we’re going to draw the same kind of shape over here to the right for the second tower. Leave some space in between as wide as your two hands together. Try to get it to match the other tower you just made. Symmetry is important for drawings. First the rectangle. Then, the triangle. Now we have two towers. Next is the most difficult part of our castle drawing. The front walls of the castle. We’re going to draw a square zigzag line here to connect the towers. Starting on the left, and going down and up several times until you reach the other tower. Make sure that you have an equal distance between them. Let’s complete the front wall by connecting the towers down here. Simply draw a straight line in between. Next, we’re going to draw the middle tower. So, let’s start from the zigzag line we just made. Going up, draw three lines as if you are drawing a rectangle. The middle tower is where the king and the queen lives. So make it wider and taller than the previous two towers. Draw a triangle on top to finish the tower. Our castle needs a gate. A gate is simply a door to enter the castle. 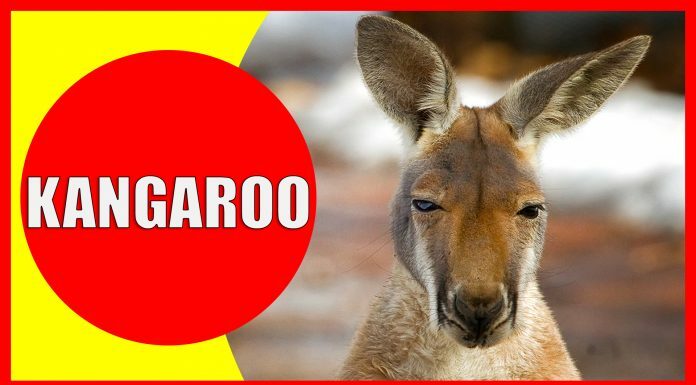 Can you draw the letter “U”? Let’s add a big upside down U for the front gate in the middle of the front wall. Draw the arc carefully. You can make the gate a rectangle if you want. Our towers have no light. They need windows. Like our front gate, the windows are upside down U’s. But smaller. Let’s draw the window for the left tower. Also, connect the bottom with a straight line. We’re going to draw the same kind of shape for the right tower. And for the middle tower. Make it slightly bigger for the main tower. The king and the queen would like to have large windows. Finally, we’re going to draw the flags for our towers. Simply draw a straight line with a small triangle. Complete the three little flags for the three towers. Our castle is all done.